God's love is unconditional. No matter what we have done He still loves us and cares for us. So much He gave His only Son for us. He is more than a good person, teacher, prophet , or miracle worker. He is the the truth, the way, and the life. The greatest gift we can give strangers is to be the presence of Christ in their life. When God calls us to do something doesn't mean it is going to be an easy task to complete. When God lays a burden on your heart are you willing to embrace it and be moved by it? Sometimes we find ourselves asking the question, "Why does God deserve our worship?" At these times, we need to think about all of the things he has given us. Do not let past failures stop you. Never give up, let God's grace turn your failures into victories. At some point in our Christian walk, we must leave the shallow end of the water and jump into the deep end and have faith in Christ. We see people offer excuses for what they do. We see compromise everywhere. We might not compromise our beliefs, but what about our character? How does that affect us spiritually? My One and Only - Do You Love Me? Every year our congregation submits questions for the pastoral staff to answer. This sermon addresses some of this year's questions. There is great need to keep the peace and unity within the church. Division leads to separation and ruin. A divided house cannot stand. It fights and destroys itself. The Holy Spirit gives us the power and strength to step forward to accomplish things we could not on our own. Prayer is a privilege purchased by the blood of Jesus Christ. It needs to be the most fundamental part of our life and our church. The greatest message the world needs to know today is that Christ was sent to save us and crucified for our sins. Jesus is the meaning of Christmas. Our light in the darkness of this world. We must have patience. It goes against our culture, but convenience will not take us where God wants to take us. You believe in the messenger and it creates expectation and faith in the unseen. The call of God will intrude into your life. It will cause you to sacrifice and to give of yourself. What do you value...Are the things in your life keeping you from humbling yourself like Jesus? There are no stopping points. There will be plenty of reasons to stop, but none of them are good. Keep moving Don’t let anything get in the way and have no boundaries. Guest Pastor Wes Jones talks about following Jesus and being His disciple. Remember you are a child of His! Remember your position! If God is real to you in your life are you willing to trust God and go all in? Do you see the importance of being there for your brother and sisters in Christ? It’s time to stand in power. It’s time to stand in passion. It’s time to stand persistence. It’s time to stand. We must stand on the Rock. That Rock is Jesus. If God is real to you in your life are you willing to guard your heart from becoming hard…never letting anything get between God and you. So the question begs to be ask…If God is real to you in your life are you willing to follow…are you willing to listen…Go when He says go and heed when he says to stop. God has called each of us to live this out……He has shown Himself to us….. Living by grace……striving and serving by grace……Perfection is my enemy! No matter what you face or what you have to deal with……This joy is based on your relationship with Jesus. Heaven is for all those who have gave their lives to Christ. We go through this life and then at that end of it……We are faced with what is on the other side. 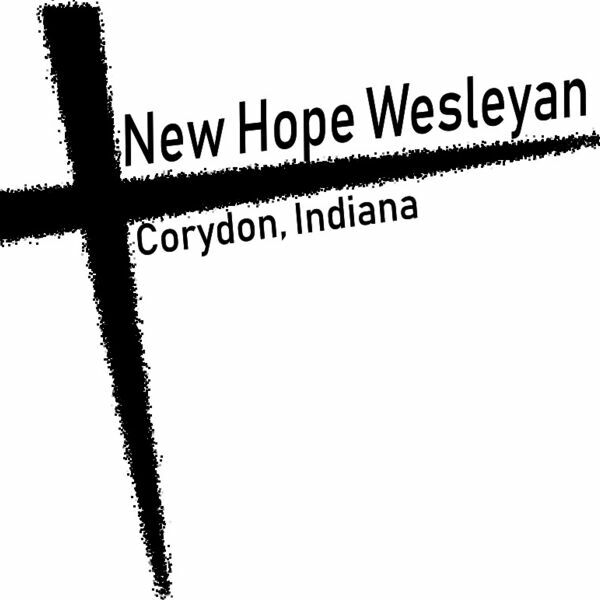 All content © 2019 Corydon New Hope Wesleyan Church's Podcast.